Mario's complete hen party - also with Yvonne & Sanchiko. Mario's hen party - just imagine, Mario live(d) with another 3 girls in one apartment! And he refused to exchange with me! 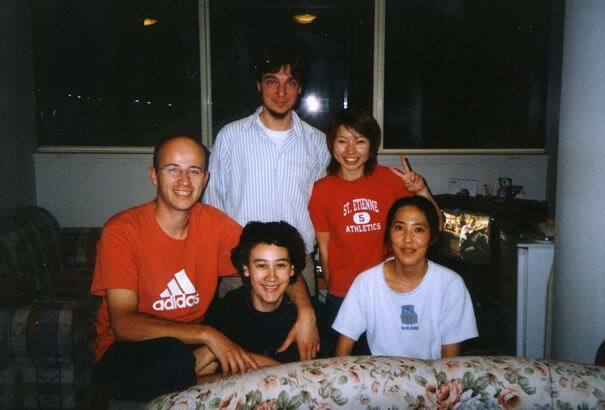 Left: Mario with Nancy, Yvonne from Japan, Sanchiko with typical Asian VVVictory & me.